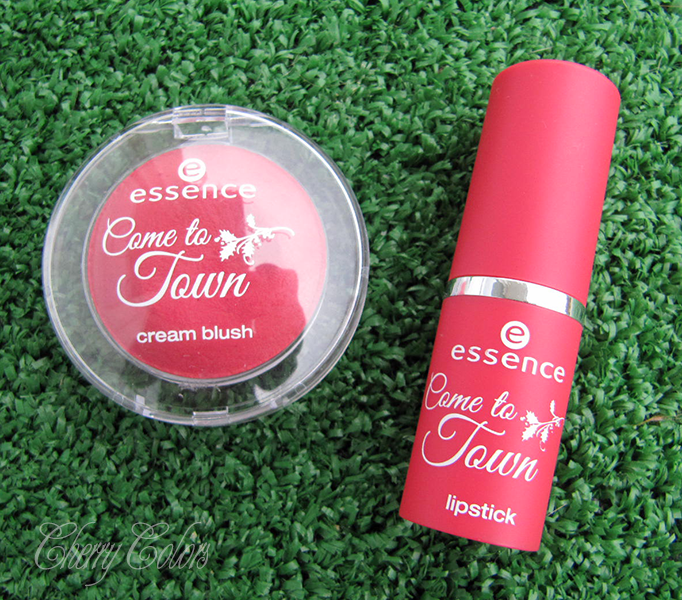 Essence Come to Town TE - Cherry Colors - Cosmetics Heaven! I thought that I will not be interested in the Essence Come to Town TE, since when I first saw it at the event (here), nothing really caught my eye. But after I followed a chat in our FB group - Slovenian beauty bloggers, I learned that the lipsticks and blushes are to die for. 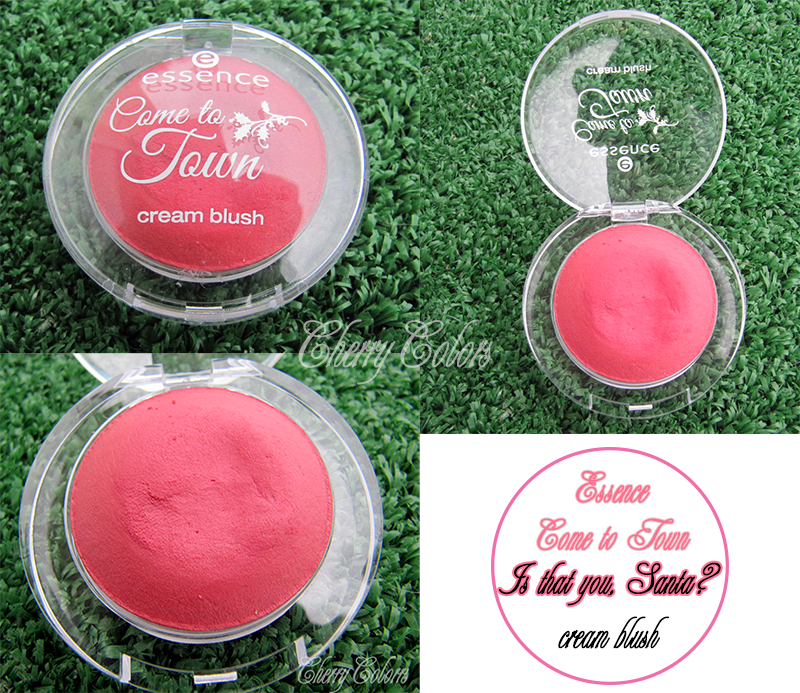 Girls said the consistency of the blush is amazing and I really wanted to see if it is true. So I picked them both up. 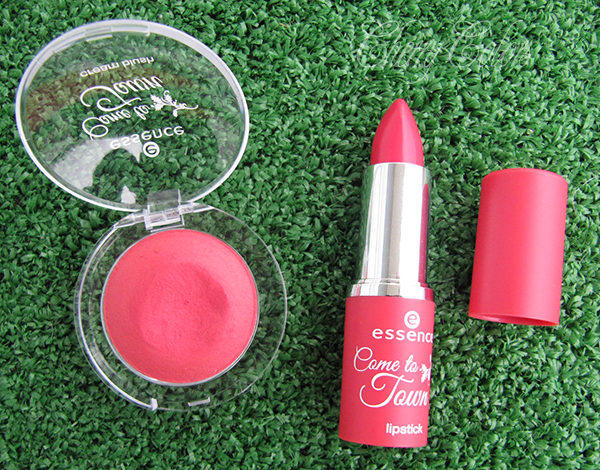 A set of a lipstick and a cream blush. Both are in the shade Is that you, Santa? 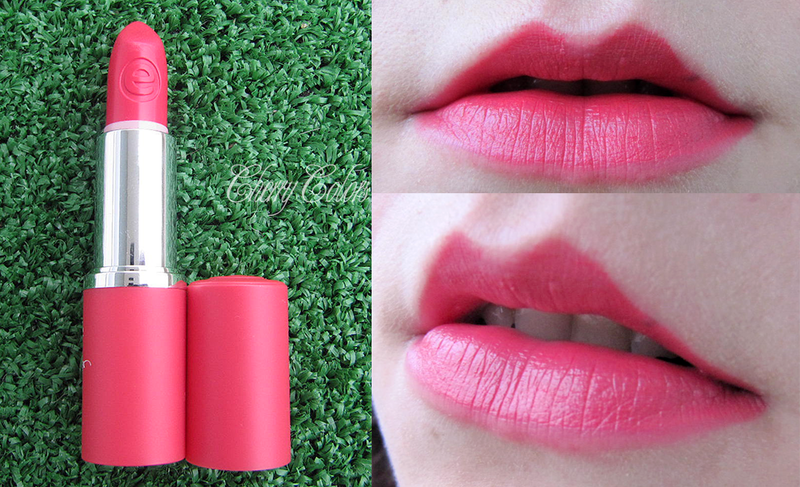 The lipstick comes in this cute colored tube, which looks quite classy especially considering that it's less than 3€ worth. I really like these color themed tubes. I like how this lipstick looks on me, quite natural! It is a warm red shade, but on me, it looks coral-pink. Perfect for everyday! But there's a thing - I am not sure if it is supposed to, but it smells like those old lipsticks?? [edit: Actually it's not supposed to have any scent, so I went and returned it,_;. Couldn't find a new one, too! It will be dearly missed). I apologize for the sloppy lip swatch - I didn't notice that I manage to "fix" my lipstick a bit too much and there's a whole chunk of it missing on my lip. It looks very very natural in RL and it was hard to notice. The lipstick is very moisturizing and I didn't have any problems with chapped lips while wearing it. I like the fact that it is creamy and applies nicely. No dry parts showing up! Hooray for Essence! The lipstick is not very long lasting - it doesn't survive eating, but it can survive drinking (if you are careful). On its own, it lasts about 4-5 hours before vanishing to almost nothing. I don't mind it because it is not that dark that it would look bad while disappearing into oblivion. The Blush is a cloudy perfection. Super soft and nicely pigmented. Not too much, not too little. When I apply it, I look healthily flushed. Like if I blushed or ran for a couple of minutes. Pretty! The packaging is cute (I like the font), but I don't think it is travel-friendly. It could survive a couple of short trips, but other than that, I am not sure. You know what is the best part? It is very wearable. I know it is red, bright red to be exact, but yes. 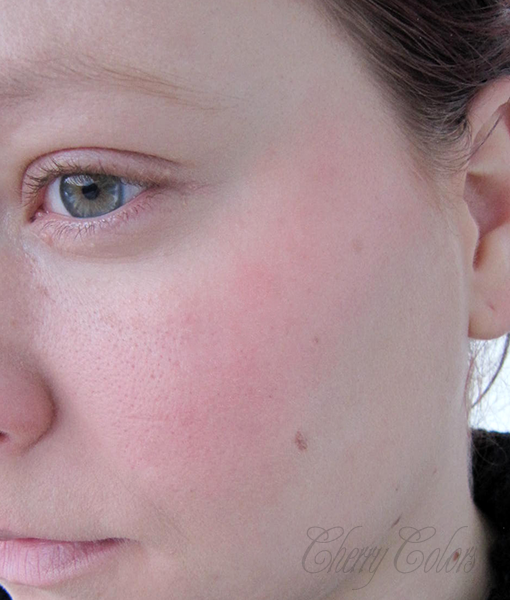 If you stick your finger too long in the blush, you still get this sheer natural looking blush on your cheeks. 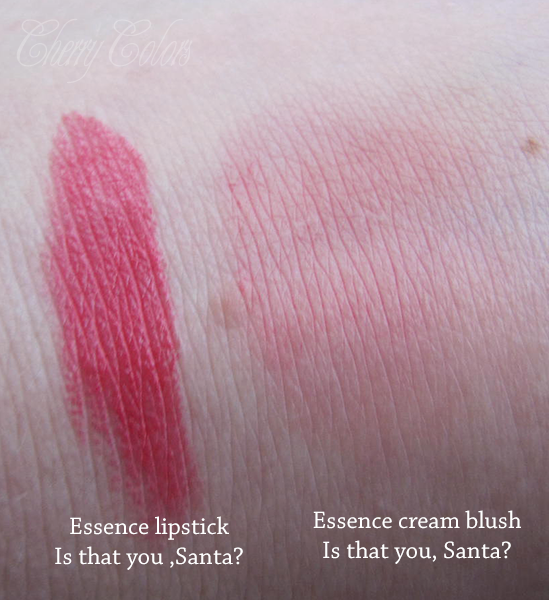 And here are the swatches of them both. Lovely, lovely! Now I see why did the girls compliment these two! I think this blush is a mush have! The lipstick is awesome for me (goes well with my skin tone), but the blush is ah-mazing for everyone!